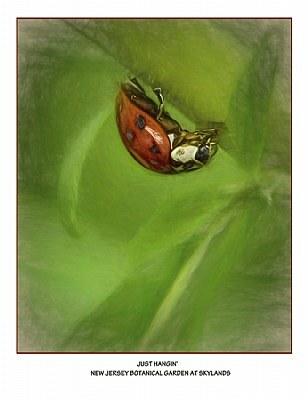 About A ladybug among leaves, treated for effect. This little lady is in a world of her own; only she know which way is up. Very lovely TA, the diffused green is exquisite. Very fine Barbara, tasteful work.